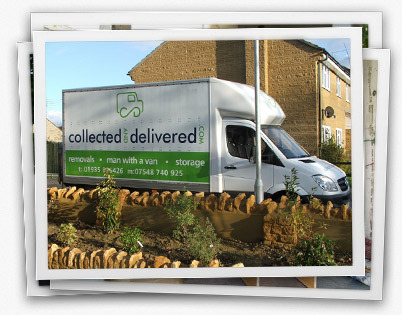 Collected and Delivered is a removal company based in Somerset undertaking home and office furniture removals anywhere in the UK, Local and National. Dealing with mainly small to medium size home removals we can also undertake larger removals, all jobs are considered. Boxes and packaging materials can be supplied. Our removal services include removal blankets to protect your items whilst in our care and also carry a selection of tools for any items which may need dismantling and reassembling on the day of your move. All removals are fully insured. We work all over the country completing many removals in between Yeovil and Yeovil outskirts to Crewkerne, Martock, Ilminster, Dorchester, Sherborne, London and anywhere in-between with our main focus being Yeovil & Sherborne. If you would like a free no obligation quote please do not hesitate to contact us.